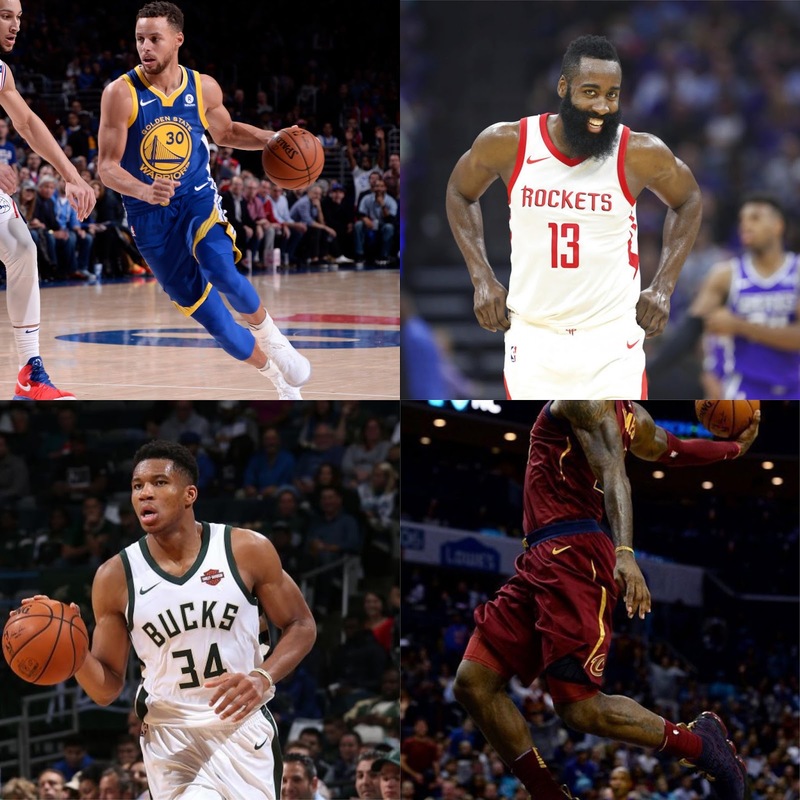 As the 2017-2018 season nears a turning point, we wanted to talk a moment to appreciate the players who have made an impact through the first quarter of the season. The season is arriving at that 20 game mark, and so far, there have been many players who have made a huge impact and set themselves apart from the pack. 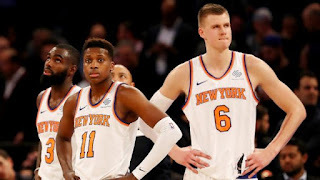 Today, I wanted to take a look at 7 of those players this year. Who makes the list? 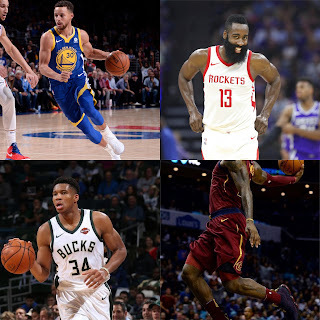 Let's take a look at the best players so far this season. -His numbers the last few games have been underwhelming, but it's known that he's battling with an injury and playing through it. For some reason, the Knicks are actually playing halfway decent and the main reason for that is Porzingis. He's the driving force for the team and he's leading the league in 30 point games so far this season with 8 of them. From his 38 point performance against the Nuggets to his big time performance in Cleveland against the Cavs, Porzingis has been magnificent this season and one can only hope that he gets back in form, as he says his elbow injury feels almost 100% healed. Let's hope that's the case. -You might look at the numbers and think there's nothing impressive about them, but sometimes the numbers themselves can be deceiving. Kyrie is the leader of this Celtics team that as of this writing, are the best team in the NBA and have won 15 straight. However, the reason Kyrie just misses the top 5 of this list is due to some efficiency issues that plagued him off and on in the first 17 games of the season. However, Kyrie is the Celtics closer and his role is well defined. 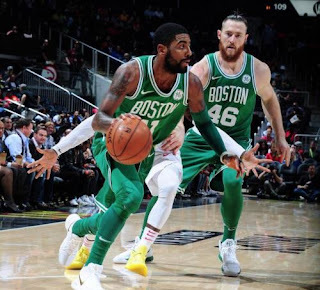 He was seen as one of the worst defenders heading into this season, but he's bought into the Brad Stevens system and he's been one of the better defenders this year in the East for guards. 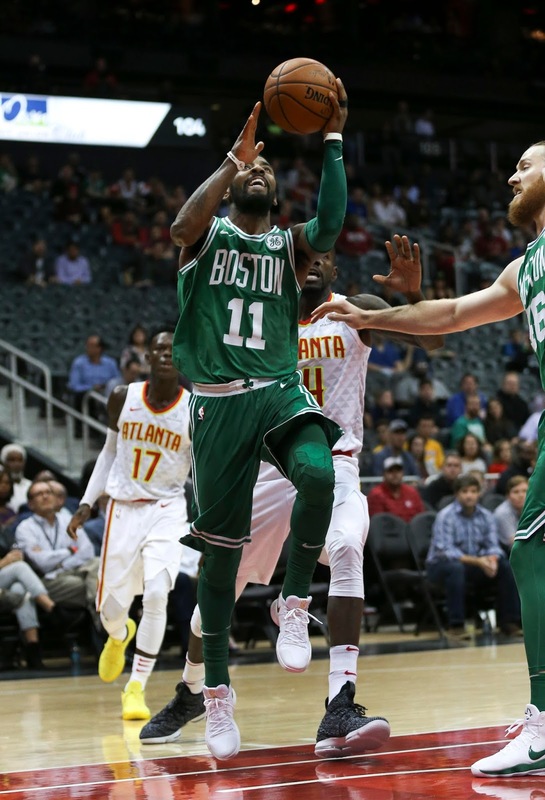 Kyrie is seeming more comfortable in his role, and it's only a matter of time before 30 point games become a regular occurrence as the Celtics will continue to improve their offense to match their no. 1 defense. 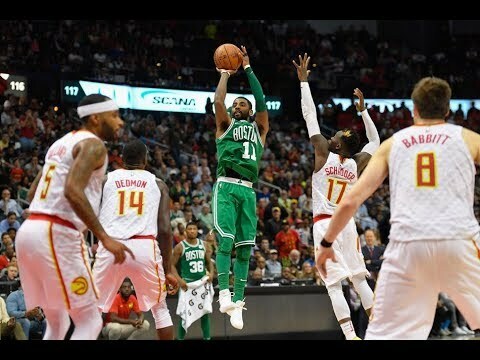 I think without Kyrie as their leader, this Celtics team would not be no. 1 in the East right now and ahead of the pack. 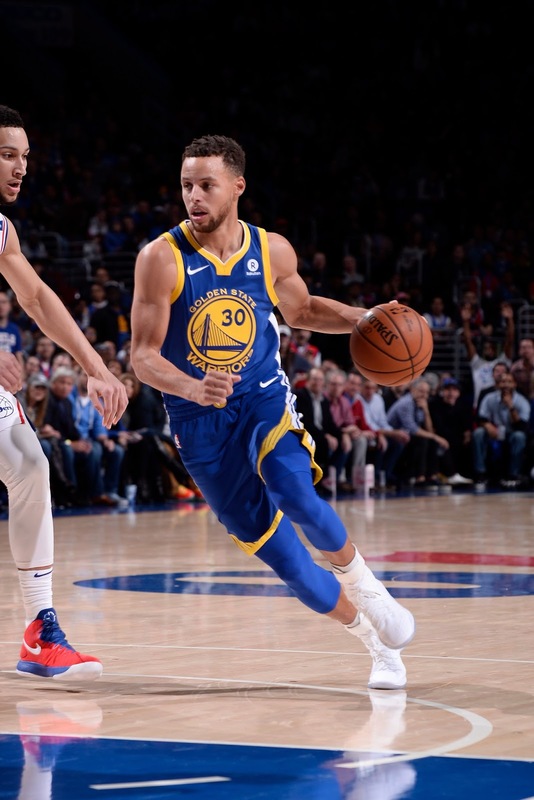 -Believe it or not, Steph Curry has added elements to his game this season that I didn't think would be possible. For one, he's become a much better defender this season. 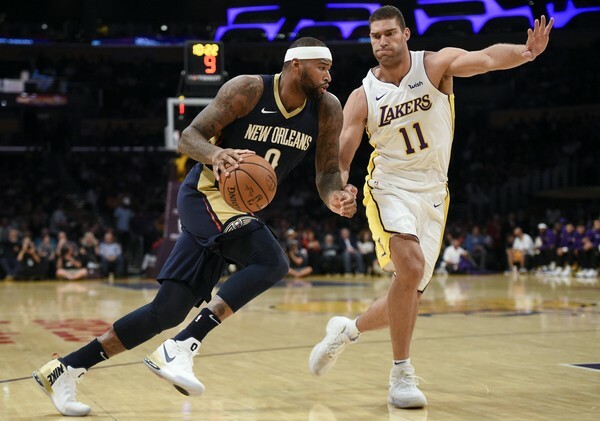 Two, he's developed more of an aggression that has allowed him to get to the free throw line more often than usual, despite still not getting the calls he deserves. The Warriors are currently 13-4 and tied for first in the West, but in reality, they could be 16-1 if they managed to close out games correctly. 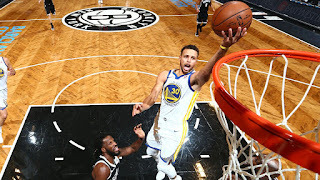 However, this season, Steph has been the driving force of the team, as we've seen him control the tempo and lead the offense beyond what we are used to. 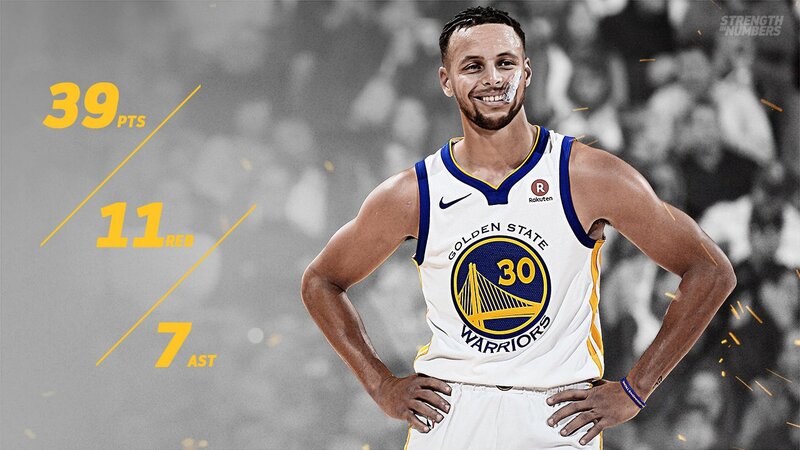 Steph has played 16 of the 17 games so far this season for the Warriors and he's had some big moments. He doesn't seem as focused on breaking another 3PT record, but when you own 4 of the top 5 season records for it, do you really need to? What makes his season more impressive is that right now, Steph is only averaging 32.4 minutes per game, which is on pace with his first MVP season and he's missed multiple 4th quarters this season, which begs the question: if Steph played 35-36 minutes a game, how many more assists and points could he average? 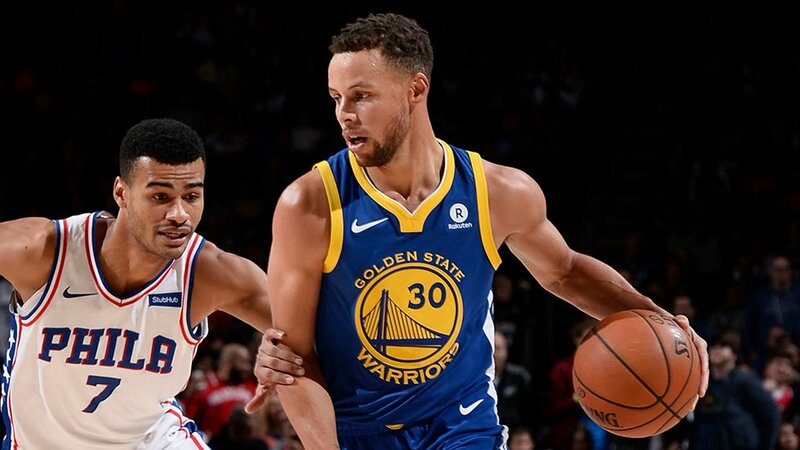 Regardless, Steph is close to another 50/40/90 season, and if his shooting continues to level out, he might be able to pull it off. 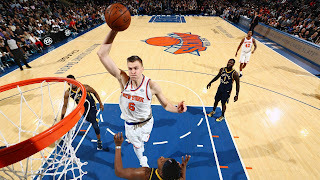 His most impressive stretch of games came recently with huge games in back to back wins over the 76ers and the Nets. If Steph is starting to get into MVP Steph mode.... alongside Durant, who has been great himself, the NBA is trouble. 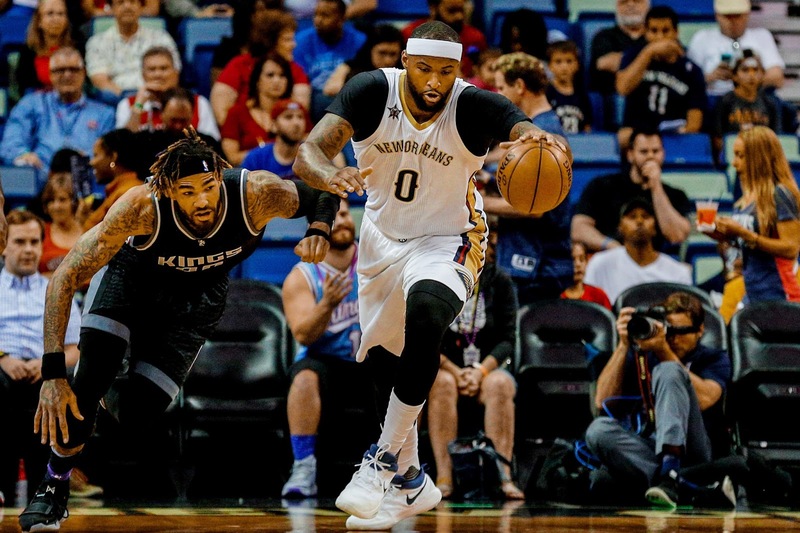 -If Anthony Davis would have been healthy, he would make this list. However, he's had a few health issues this season, and in many ways, that's led me to put Demarcus Cousins on this list over AD and others. 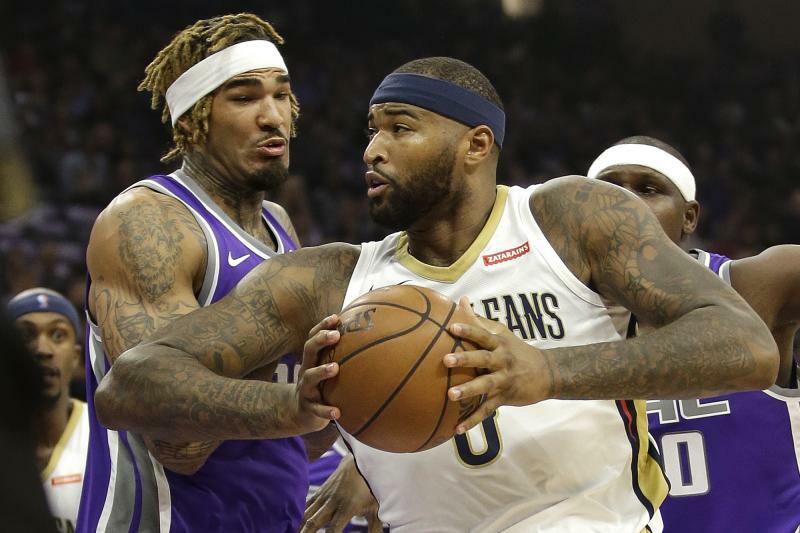 Boogie has been at his best so far this year and he seems determine to push the Pelicans into the playoffs and end his streak of missing the postseason. He's currently averaging a career high in assists and rebounds, and has 13 double doubles in 16 games this season (along with one triple double). 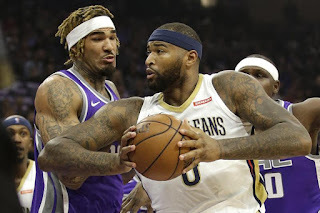 His best performance to me this season was his 41 point and 23 rebound game against the Kings in Sacramento where Boogie put the team on his back and brought them back from a huge deficit. 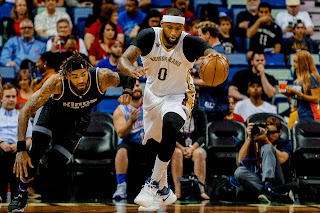 He also had a big 35 point and 15 rebound game against the Clippers and there's no doubt in my mind that Boogie is the best center in the game. If AD can manage to stay healthy and the Pelicans can utilize him correctly, there is no denying the fact that the Pelicans can make the playoffs and Boogie might see his name in MVP talks this season if all goes well. 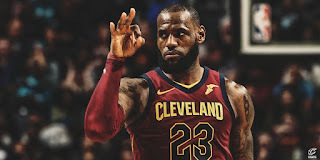 -In his 15th year, LeBron is on his way to having the best year statistically since his last season in his first Cleveland run, but unlike most years, it doesn't look as easy as it used to. 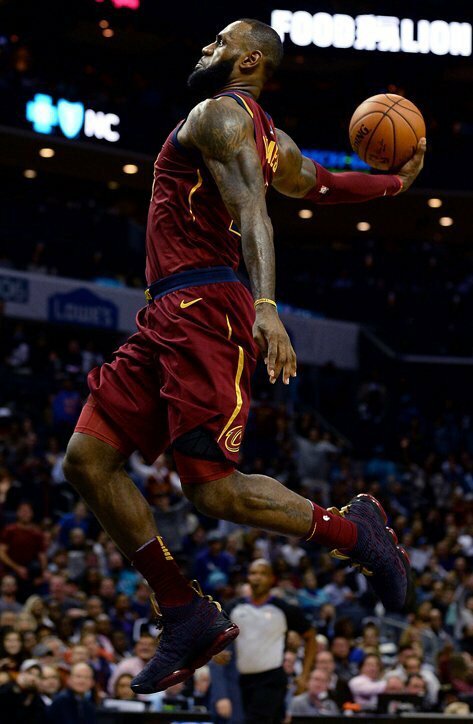 It doesn't seem like LeBron is coasting this year, but rather that he's giving it his all to help his team win as many games as they can. While many will say LeBron hasn't declined at all, his decline becomes obvious in his game on the defensive end. 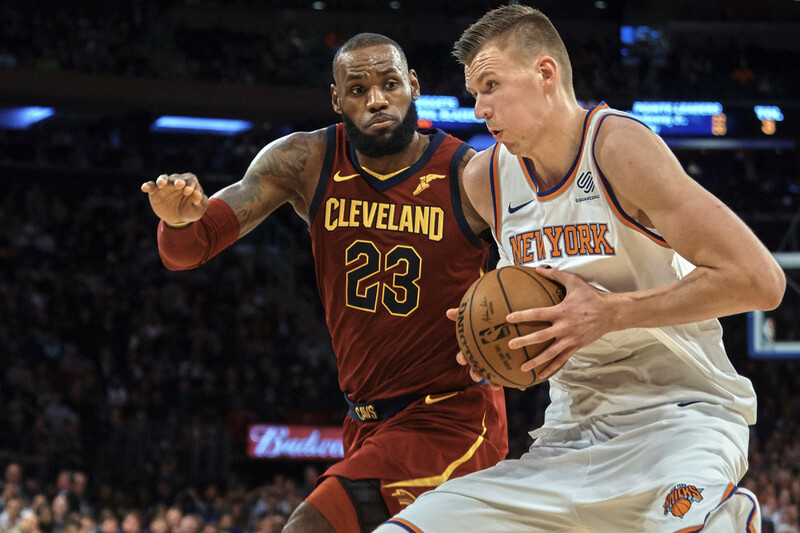 LeBron gets beat off the ball a lot, and while NBA TV highlights of one chasedown block every 10-15 games is fun, it isn't a measure of his actual defense. 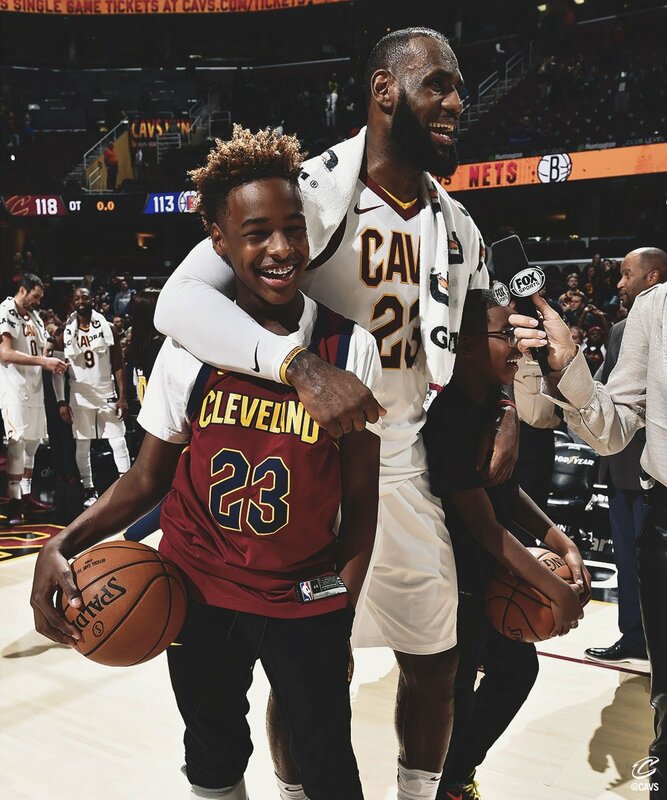 However, that's not an issue limited to just Bron, that's the Cavs as a whole. Where LeBron is shining now is on the offensive end. He's so close to his goal of shooting 80% from the FT line and his 57 point performance against the Wizards is the stuff that legends are made of. 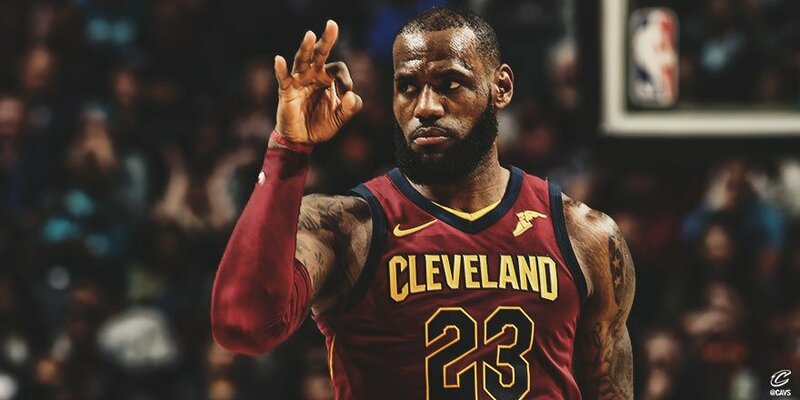 Keep in mind, Bron is doing this at an extremely efficient rate and is currently shooting 40% from three, which likely will decrease as the season wears on, but it is rather impressive to see him shoot so well so far. He's been a monster in the 4th quarter and clutch when the Cavs needed him to be, as we saw in the Clippers game recently. 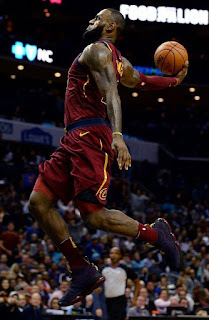 LeBron is focused and could take his momentum to a higher level as the season progresses and take the no. 1 spot if he keeps this up. -Who would have thought that the Greek Freak would be one of the front runners for the MVP award? I wouldn't have seen it coming honestly. 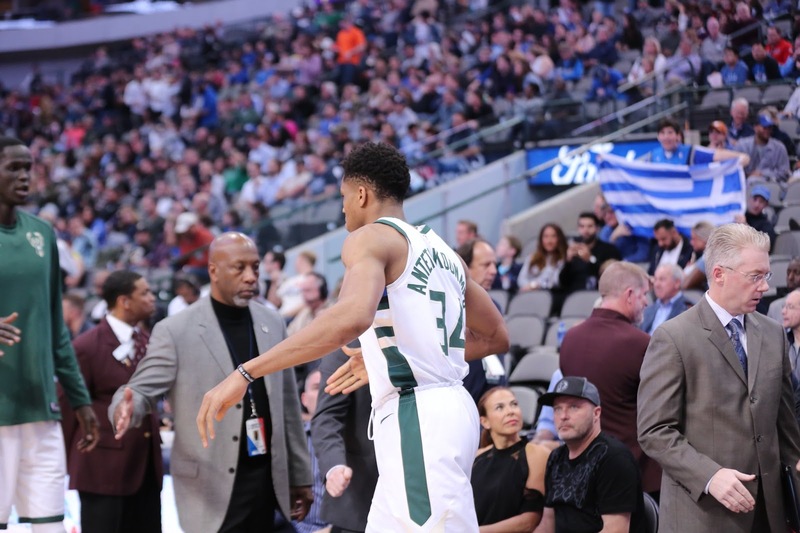 The Bucks are only 8-7, but once Middleton gets going, and Eric Bledsoe continues to get familiar with their offense and defense, the Bucks should be a firm playoff team. 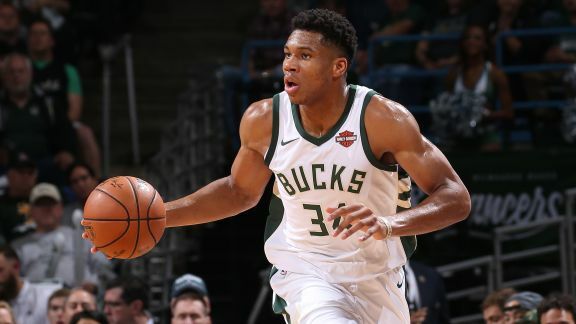 However, they've been led by Giannis all year and that doesn't seem to be changing anytime soon. He's already placed him in a possible top 5 conversation for players today, he's shooting efficiently, and the most impressive thing about him is that he doesn't have a jumper and can barely hit a three to save his life. 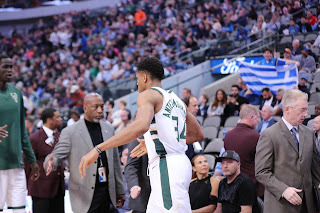 His performances have evened out a little bit over the last week or two, but I fully expect Giannis to keep this pace going and lead the Bucks into the playoffs. If they can sustain a solid winning streak, we might hear his name heavily involved in the MVP talks. -So, James Harden seems to be tired of coming in second in the MVP voting. 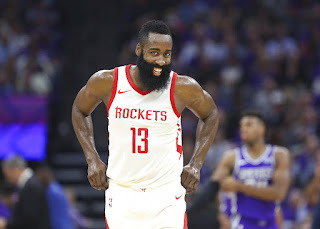 Though last year, he shouldn't have won it (If Russell Westbrook didn't win it, then I believe Kawhi Leonard should have it), and he has no claim to the 2015 MVP, despite what the misguided Harden stans will say, it seems that this year, he's focused on walking away with that trophy and if I had to pick a MVP winner right now, it would be Harden. 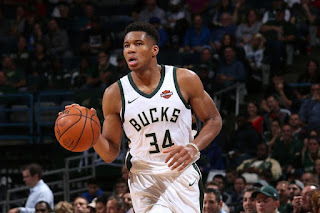 He's been playing the best basketball of his career so far in these first 17 games, and while I expect that to drop off a little bit as the season wears on, I think he might be on his way to his first scoring title and his first MVP. 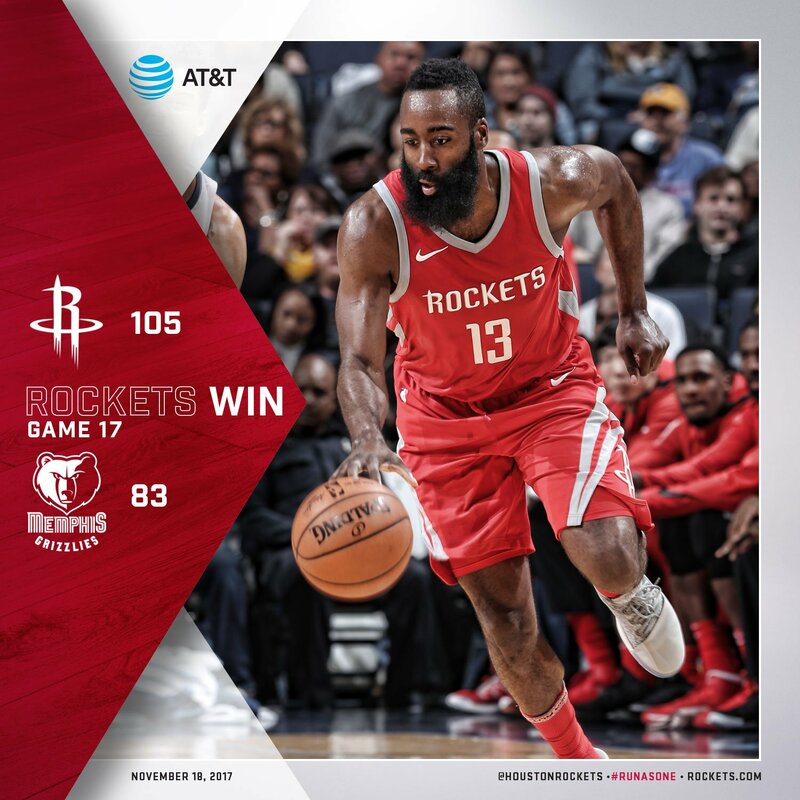 The Rockets have been shooting very well overall, and Harden has shown he doesn't always have to rely on the free throws to get his points. I think if the Rockets can win 60 plus games and Harden can keep up this amazing pace he's on (remember he started off last season the same way and slowly took a small decline before the season ended), that MVP award is his. 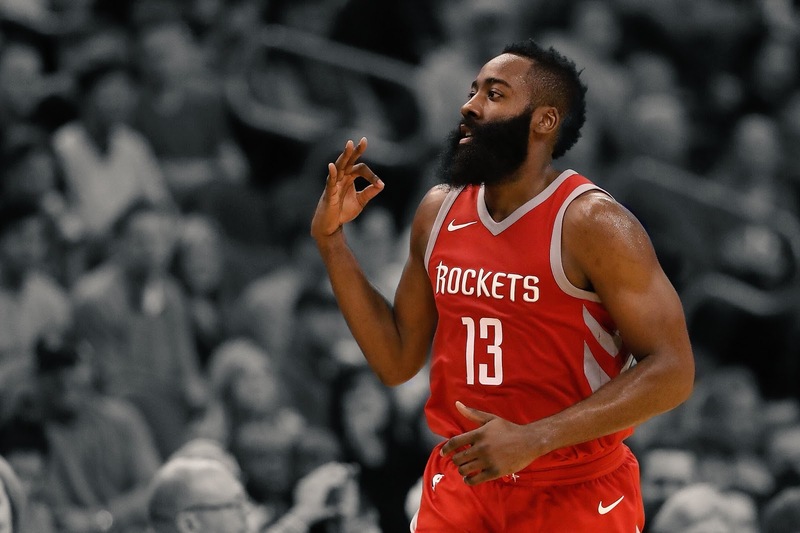 Harden has a claim to being in the top 5 players in the game with his consistency, and this season, I don't think anyone has been quite as good as him. Will this be the year he makes it happen? We shall see.